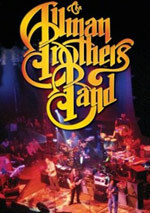 The Allman Brothers Band has firmed up a schedule for the group's 2014 series of New York City dates. The Beacon Theatre hosts the band and its special guests for 10 nights, commencing on March 7 and wrapping up March 22. Ticket sales start Jan. 10 at 10am (Eastern). The announcement came amid reports that bassist Oteil Burbridge was considering leaving the Allmans for the Zac Brown Band. Gregg Allman added fuel to that while talking with Rolling Stone, prompting Burbridge to lay the rumor to rest via his own Facebook pageafter Butch Trucks took to his to call accounts about Burbridge leaving 'absolute BS'. Not the first time Gregg Done Somebody Wrong.